The impact of domestic violence on victims and on children cannot be overstated. Not only do violence and abuse create a risk of serious injury or death for everyone involved, they also can create lasting emotional damage. For example, children who witness domestic violence run a risk of becoming batterers themselves or becoming involved in bad relationships in the future. Because of the volatile and unpredictable nature of domestic violence—especially when one spouse tries to separate from the other—it sometimes becomes necessary to involve law enforcement or family courts when matters escalate. Domestic violence is a real problem that family courts and law enforcement take very seriously. It sometimes takes law enforcement to arrest and charge a batterer with a domestic violence offense, or a victim to obtain a domestic violence protective order (DVPO) to get through to a person accused of violence. Batterer Intervention Programs (BIPs) are educational groups for people who have been identified as, or identify themselves as, batterers in a domestic violence relationship. These programs are rooted in the principal that being a batterer is not a symptom of mental illness or disturbance. Instead, there is a belief that batterers choose violence because of cultural norms, personal beliefs, misogyny, and the way a batterer was raised to view spouses and relationships. Therefore BIPs provide education and information that batterers can use to acknowledge their own responsibility for their choices and to hopefully choose differently in the future. BIPs are Mostly Tied to Judicial Proceedings. In North Carolina, domestic abusers are often ordered to attend a BIP as part of a judicial proceeding, such as a protective order, a domestic violence crime, or as part of probation. In fact, the vast majority of participants are people who have been ordered or have agreed to attend BIP. While BIP is an informational program, it is not intended to be a cure-all or a “fix” for the issue. New Direction Family Law is a family law firm that serves men and women in legal matters including separation, divorce, protective orders, property division, spousal support, child custody, and child support. We have years of experience advocating for the legal rights of our clients. We pride ourselves in providing smart, effective representation. Our firm serves Wake, Johnston, Durham, and surrounding counties. Let us help you. 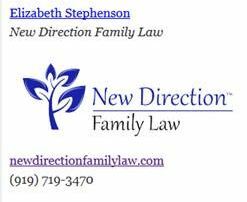 Call New Direction Family Law today at (919) 719-3470 to schedule a consultation or visit us at our website.